OCCC has pushed the start of the intramural flag football season back a week due to the lack of sign ups. Football season is officially here and as the sport has mostly kicked off at it’s scheduled times at the pro and collegiate levels respectively, OCCC was forced to postpone it’s intramural flag football season from it’s intended start date, Sep 7, due to the lack of student participants. With only 10 sign ups thus far, Sports and Recreation Specialist Matthew Wright has rescheduled the intramural football season to kickoff on Wednesday, Sep 14. The sign up deadline has been extended until Tuesday, Sep 13 at noon, so students still have time to be a part of the action. Games will be played on Wednesday nights starting at 5 p.m. on the field located near the John Massey Center and Parking Lot F.
Players will not need any pads, helmets, mouth guards or any other equipment. Players are asked to wear their normal street clothes and may bring their own cleats or gloves if they choose to. Wright explained the field that players will play on will be different compared to a traditional football field. “Traditionally you’d play on a 80-yard field, but we don’t have 80-yards to play on,” he said. “I like to split the field into 3 zones and teams are given 4 downs to reach each zone,” Wright said. While there may be some incidental contact during games, Wright assured that any deliberate and aggressive contact will be penalized. 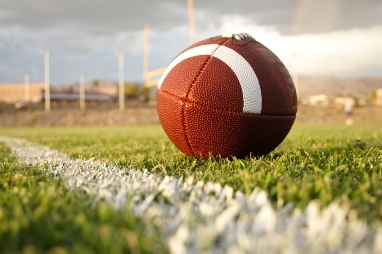 Flag football is only the first of many intramural sports OCCC is offering this semester. Registration for Monday night ultimate frisbee will open on Sep 17, one month from the start date on Oct 17. “Registration will open one month before the start date of each sport,” said Wright. “Students are allowed to register an entire team or as an individual (a “free agent”) and will be assigned to a team,” he said. Registration is free to all current OCCC students and sign up sheets can be found at the Rec and Fit office or in the gym.